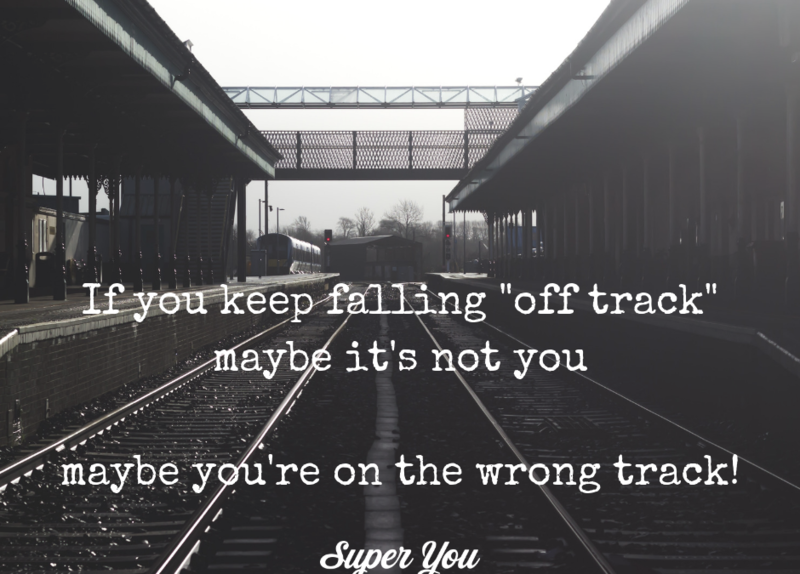 What if you’re on the wrong track? Do you always feel like you need to actively work to “get back on track” (sometimes again, and again)? Do you feel like you’re always fighting an uphill battle to stay “on track?” Does it always feel like you’re perpetually in this jump on/ fall off the track pattern? Do you feel a little dizzy from it all?! Yeah, I get it! What if it’s not YOU? If you’re feeling like you’re in camp “time to get back on track” I want to give you a few tips to give you a NEW way of looking at things – one that might just transform the way you look at health and fitness entirely! 1. Remember that the track can be twisty. Health and fitness are rarely a straight path. There will be twists and turns, quicker parts and slower parts – and it’s all good. Go in knowing it won’t always be straightforward. Look ahead to the twists and turns and plan for them (read: that week you have a huge deadline and 2 sick kids, it’s OK if you don’t do your fitness plan “as written” – instead embrace the goal of daily movement, or maybe some days opt for a Meditation with Bee to dial down the stress and take care of you! 2. Maybe it’s not you…it’s the wrong track entirely! Maybe you keep trying to follow a program that is 5 days per week, and you feel like a failure if you don’t do all 5. Or you get started all fast and furious with a plan, but just kind of lose steam! Or you are great for a few months, but then when the plan you’re following is over, you feel a little lost! Evaluate what is and isn’t working for you. Do you enjoy the approach? Does the time commitment fit with your life? Do you like the style of workouts? Figure out what will work for you – and ROCK it! 3. On a “track” you don’t love? QUIT! I love it when people “try on” programs and quit (what?!?!). Yeah. When they try it out, give it a shot, decide they don’t like it and MOVE ON! There is no ONE “program” that is going to be everyone’s fave. So be an explorer. Have fun. Be open to trying out some different things. And when you find something you love, roll with it. When you don’t love it anymore, move on! As people we get to evolve, grow and change! What used to work for you may not anymore, and that’s ok! 4. A ride on the “track” is always more fun with company! Do you have a Crew that supports you? Having the support you need to be successful can be truly pivotal. Surrounding yourself with people who have the same mindset about health and fitness can be really instrumental in your success. 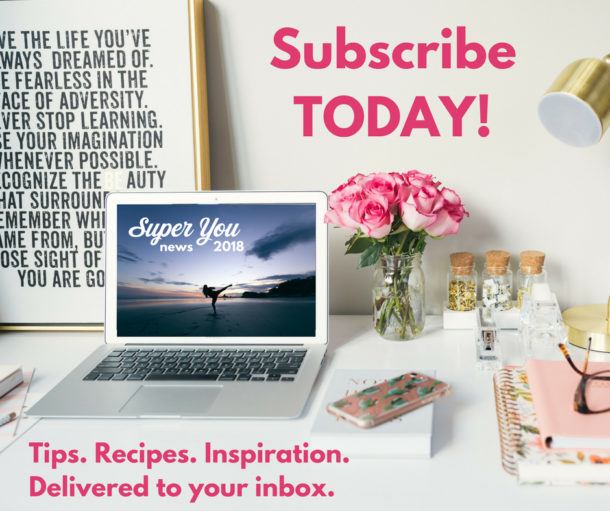 Hey, speaking of which… are you in my Private Facebook group the Super You SuperCrew yet? You should totally join us! I post in there regularly with tips, recipes, sweaty selfies (because I practice what I preach) and so much more! I even go LIVE from time to time, to give you tips, strategies and answer your questions! 5. Sometimes you need someone to guide you down the track. That’s where a coach can be really helpful! My goal with clients is always to help them find their way. I never tell you what to do – I help you explore and discover your own path! Looking for some more support as you explore? Don’t be shy to ask questions or for guidance. I’m here to support you the whole way!